It looks like Charlie’s sticking around. Eden Brolin, who plays Charlie Singer in the Beyond TV show, has been promoted to a series regular role for the second season on Freeform. Adam Nussdorf created and writes Beyond. He also executive produces with Tim Kring, David Eick, Steven Adelson, Dan Friedkin, Justin Levy, and Brian Kavanaugh-Jones. 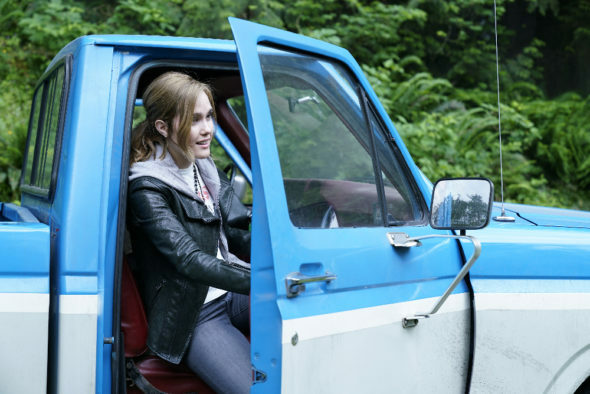 Like Holden (Burkely Duffield), Charlie emerged from a protracted coma, only to find she had exceptional abilities. A mystery fantasy drama, Beyond also stars Romy Rosemont, Michael McGrady, Jonathan Whitesell, Dilan Gwyn, and Jeff Pierre. The season one finale, “Into the Light,” will air on Freeform on Monday, February 27th, at 9:01pm ET/PT. Learn more about the Beyond TV show, from this Freeform press release. Freeform announced today that Eden Brolin, who plays the mysterious Charlie Singer on “Beyond,” will be a series regular for the series upcoming second season. 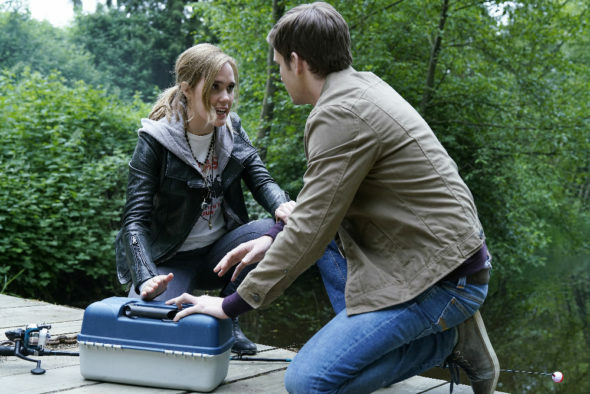 “Beyond” currently airs on Freeform Mondays at 9:00 p.m. EST. Additionally, the entire first season of “Beyond” is available on multiple digital platforms, including the Freeform app, Freeform.com, On Demand and Hulu. “As soon as Eden appeared on ‘Beyond,’ we knew she was something special. We’re thrilled that viewers will get to learn more about Charlie in season two,” says Karey Burke, executive vice president, Programming and Development, Freeform. One of Freeform’s most successful launches, season 1 of “Beyond” (available as a binge) has already generated more than 13 million starts across digital platforms with 87% of bingers finishing the series within one week. Brolin appeared in several episodes of “Beyond”’s first season as Charlie Singer, a young woman who also woke up from a coma with unexplained abilities. This unique trait bonds Charlie with Holden, but her motives may not be exactly what they appear. Production on the second season will kick off later in 2017. “Beyond” is a one-hour drama about Holden, a young man who wakes up from a coma after 12 years and discovers new abilities that propel him into the middle of a dangerous conspiracy. Now Holden must try and figure out what happened to him during those 12 years; how to survive a world that changed while he was gone; and answer the question, why did this happen to him. Playing Charlie Singer on Freeform’s Beyond is Brolin’s first TV series regular role. What do you think? Are you an Eden Brolin fan? Do you plan to watch season two of the Beyond TV show on Freeform? Let us know, below. I love BEYOND I can’t hardly wait for season two to start!! Freeform is awesome I hope this series continues and doesn’t get the axe like a lot of other good series! When will season 2 of Beyond be in Hulu? I think that making Eden Brolin a regular is fantastic! I love her character and look forward to Season 2!